the climate cycle of El Nio and La Nia is blamed for severe weather conditions worldwide, causing droughts in some areas and floods in others. 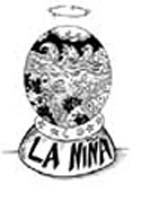 But researchers have now found that over a three-year period, which started during El Nio conditions in 1997 and ended in La Nia, global ocean productivity increased by nearly 10 per cent. This was found by Christopher Field, researcher at the Carnegie Institution of Washington's department of plant biology, in the us , and Michael Behrenfeld at the us's National Aeronautics and Space Administration. They evaluated the global-scale impact of the most recent cycle on the growth of land and ocean plants. They also found that plant growth on land had not changed during this period. According to Field, the study makes it clear that the ecology of the global oceans 'reverberates with the beat of El Nio'. Plants provide the food for nearly all life on Earth. Whether they are giant trees growing in the tropical forests or tiny phytoplankton found in the oceans, all plants harvest energy from the Sun and consequently use it to grow through the process of photosynthesis. The amount of growth is known as the net primary production (npp). The greater the npp the greater is the food available for consumption by animals, including humans. Sea w i fs, the satellite launched in 1997 allowed scientists to measure the absorption of sunlight by land and ocean plants simultaneously, a key factor for determining npp . The data was collected for the entire world for the period September 1997 and August 2000. This period includes the last part of the strong El Nio of 1997-1998, as well as the onset of La Nia that continues to the present. From their measurements, the researchers estimated the total npp based on a combination of light availability, the fraction of sunlight that is harvested, and the efficiency of photosynthesis and growth. This efficiency is sensitive to a number of environmental stresses. The results showed large seasonal and regional variations. On land, increased npp in some places more-or-less made up for decreased npp in others. In the oceans, however, npp was substantially lower during the El Nio than the La Nia conditions. The difference detected was of about 10 per cent of ocean npp or about five billion tons of carbon per year. The increased productivity during La Nia reflects increased availability of nutrients in several parts of the ocean, including the equatorial Pacific, the southern Atlantic and the Indian Ocean (Science , Vol 291, No 5513). La Nia changes ocean circulation in these places to bring more nutrients to the surface, where they can be used by phytoplankton. The data also revealed a striking difference between npp in the northern and southern oceans. In the northern oceans, a strong summer bloom leads to very high productivity from 50 North to 70 North, or about the latitude range from the southern tip of England to the northern end of Finland. A comparable peak is absent from the southern oceans, probably because the nutrient content is limited. Field says, "Ocean processes ranging from fish production to carbon storage are affected by npp . Now that we see the global patterns, we can probe more effectively for underlying mechanisms. " Together with its follow-on missions, the s ea w i fs record should eventually help detection of longer term trends in biospheric npp and the usual seasonal and annual oscillations. "We are impressed by the magnitude of the npp effect in the ocean. But I have a feeling that is not the last surprise we will see from the latest earth-observation satellites," says Field.